If you still have problems, please let us know, by calling us at (303) 733-2438. Thank you! 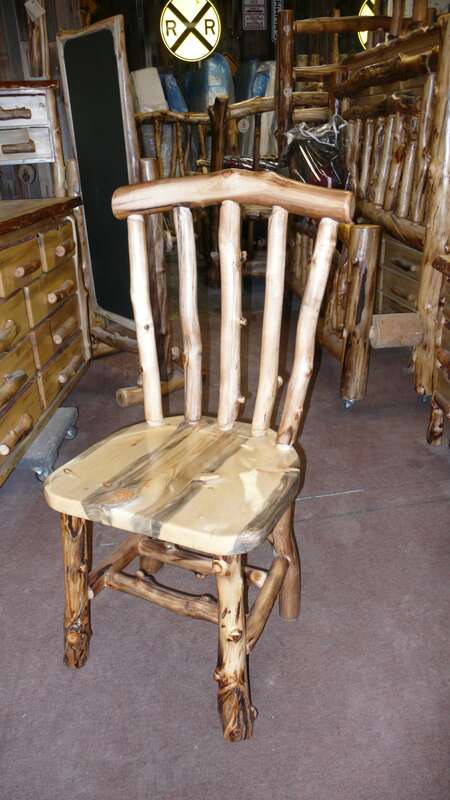 A stylish Windsor design makes this aspen log chair and instant classic. Sturdy joints locked into place with hardwood dowels are the key to making this chair last for generations. © 2000 - 2016 All rights reserved. Medicine Wolf Company.